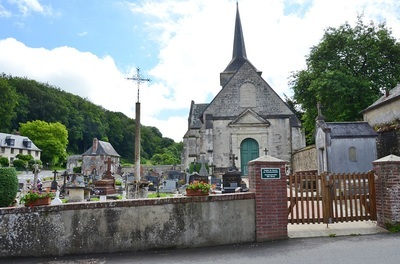 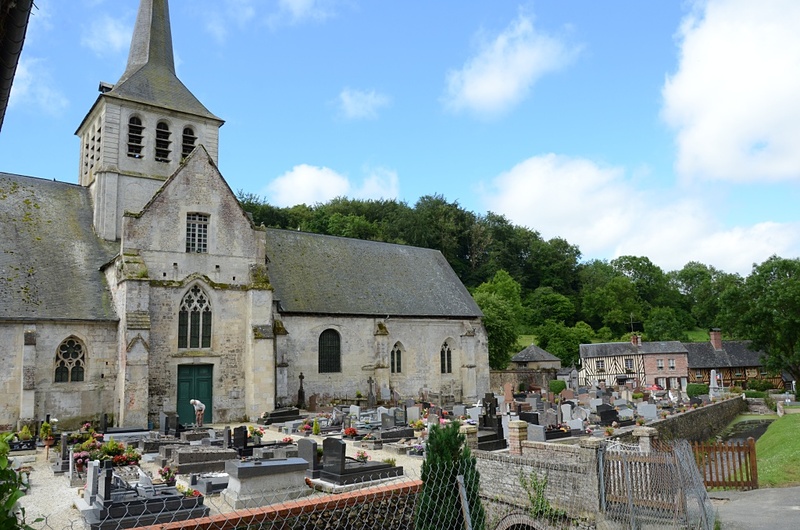 St. Hymer is a village and commune miles 12 kilometres north of Lisieux, 5 kilometres south of Pont L'Eveque, and 2 miles (3 kilometres) west of the N.179 road from Lisieux to Pont L'Eveque. 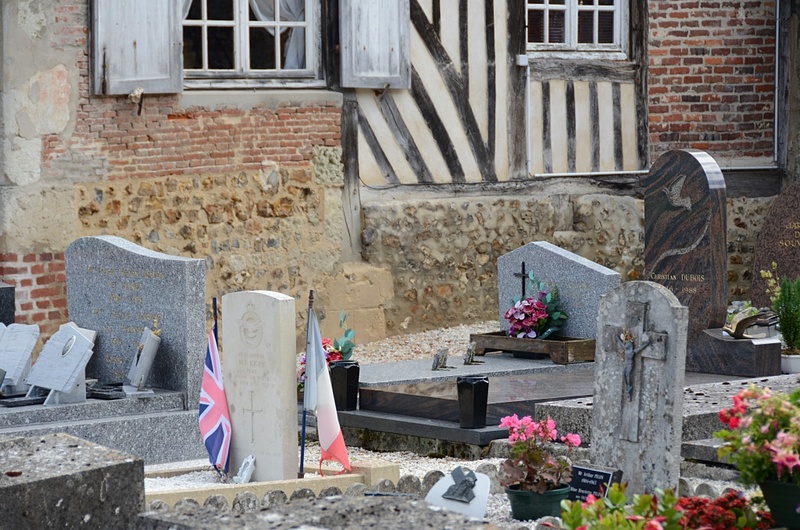 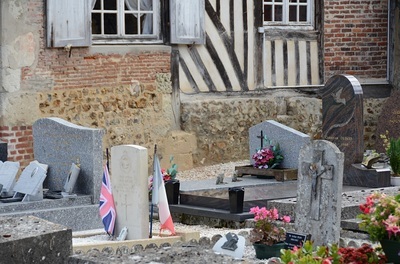 There is 1 Commonwealth burial of the 1939-1945 war here, in the eastern corner of the churchyard. 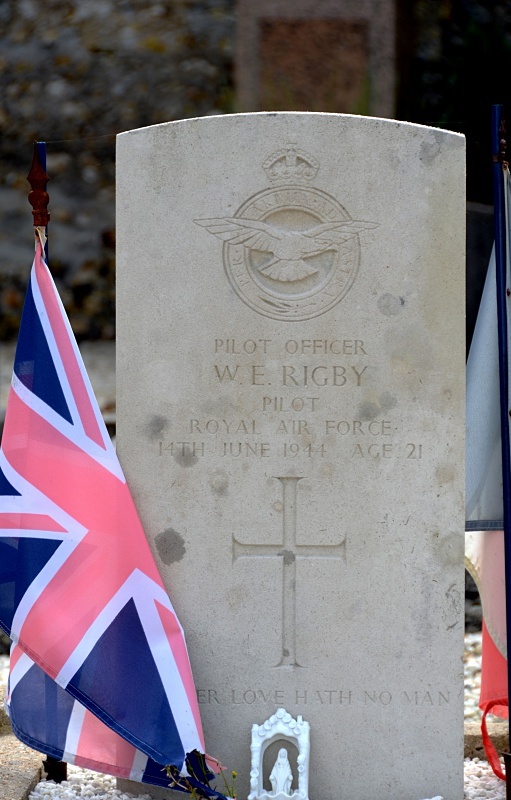 177660 Pilot Officer William Edward Rigby, Pilot in 129 Squadron, Royal Air Force Volunteer Reserve, died 14th June 1944, aged 21. Son of John Edward and Elsie Rigby, of Harwood, Lancashire.